The first and foremost goal of any call center is to solve the customer’s problem quickly and efficiently. There are various ways of enhancing your call center’s performance a competent manager can employ. Each call should be recorded and stored in the system so that supervisors can listen to call recordings. It allows to assess the performance of a given employee, identify typical problems or errors, and get rid of them promptly. Noda Contact Center has the function of centralized recording of all calls starting from the 1st second of the call. All records are stored in the archive. There is a “search” function and a convenient web-player for listening to recordings; also, the records can be sorted by operator, time of call, incoming call phone number, duration of call, etc. A systematic analysis of reports helps to spot deviations from a set level of service quality (SL), reduce the time a customer has to wait for the operator’s response, and therefore eliminate the reason for displeasure. The basic configuration of Noda Contact Center contains over 30 built-in reports and automatically puts together summary statistics by query topic. 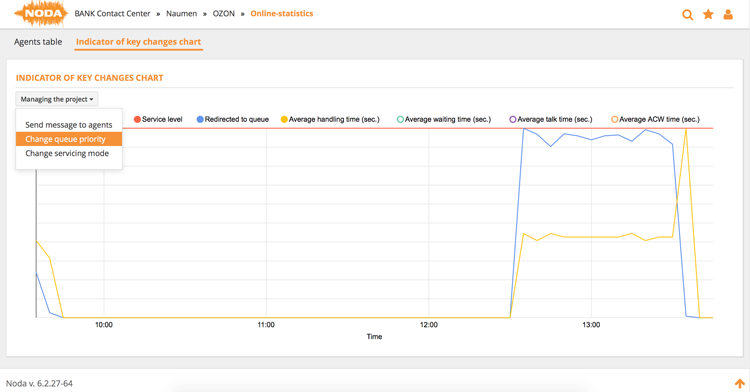 These reports show which query topics take up the most time, and help to understand the underlying reasons. If you want to your call center to operate efficiently, assessment of operators’ performance is vital. 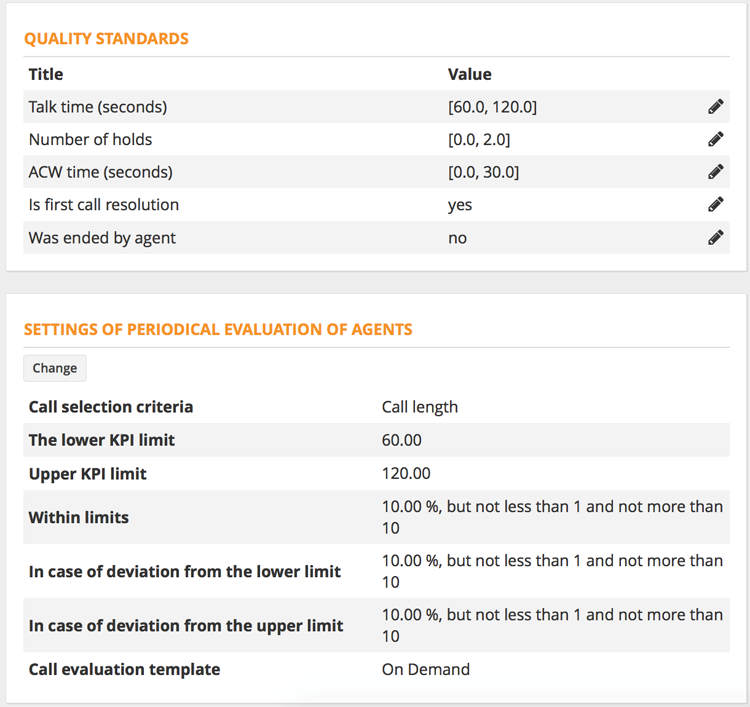 Noda Contact Center has a Quality Management module (QM), where you can set norms and KPI for each project, automatically assess if the conversations conform to the set criteria, and send the nonconforming records to be assessed by controllers, also automatically. Almost all contact centers have a very uneven workload. Therefore, shift scheduling often involves optimizing and rearranging work schedules that have already been approved. The Noda Workforce Management module offers an easy solution to this problem. The system predicts the workload on the basis of historic data and helps to determine accurately how many employees you will need in a given period. The employees can look up their schedule any time, and switch shifts with colleagues via the mobile app. Using ready-made scripts reduces errors and increases the speed of handling calls. Operators don’t have to memorize big volumes of reference data or the full service algorithm: at each stage, the system gives you tips as to what actions you have to take, which information to obtain or give. Noda Contact Center has a user-friendly graphic interface that helps to set up a script of any complexity quickly and easily. Today, there is a wide range of digital communication channels: e-mail, web-chats, text messages, messengers, social networks, etc. The client’s choice of a particular channel will differ depending on their social, cultural and demographic characteristics. Therefore, to enhance you call center’s service quality, you must be able to use all of these channels. The Noda Omni-Channel module has been developed especially for this purpose. All queries coming in through different channels are lined up in a single queue and distributed among operators with necessary skills. An operator using digital (non-voice) channels can run several projects or customer sessions simultaneously, being able to see each customer’s history records for different channels. Even when solving current problems, one has to look ahead. In the nearest perspective, call centers will undergo serious transformation. There are innovative technologies that will allow full automation of call centers and raise the service quality dramatically: biometric voice recognition and AI systems are the first to be mentioned. All this will lead to human operators being eventually replaced by robots.